At Raynor Garage Doors of Kansas City, we believe that garage door service should be done quickly and correctly. We have a wealth of knowledge, and we use every ounce of that knowledge when we perform repair work on your garage door. Quality installation and service can add years to the life of your garage doors and save you money over the lifetime of your home and door. Raynor Garage Doors of Kansas City offers service for both residential and commercial garage doors throughout the Kansas City Metro area. We cover everything from squeaky garage door hinges, to broken garage door springs. Even if you backed into your garage door, we can help! 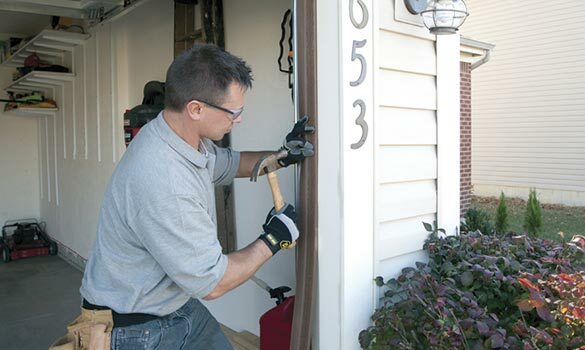 We’re here to repair your garage door when you need a fix – fast.